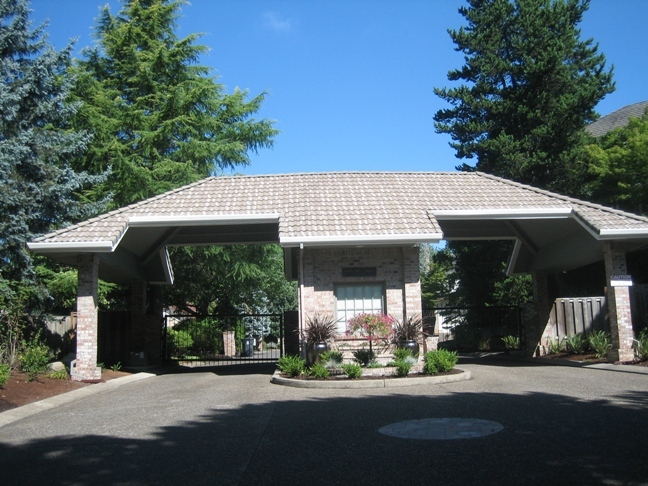 Lake Oswego has 25 specific neighborhoods, each with its own neighborhood association. The City encouraged this organization to allow specific areas of town to have effective communication for decision making and planning. Today I want to feature Holly Orchard. Holly Orchard is conveniently located. People who live in this area have quick access to I-5, Hwy 217, Boones Ferry Rd, and Country Club Rd. Costco and Winco are about 5 minutes away. Yet, it’s a quiet area. The boundaries are Carmen Dr on the South, Botticelli on the North, Fosberg Rd on the West, and Hotspur on the East. This neighborhood is small in comparison to others in Lake Oswego. The by-laws of Holly Orchard were adopted in 1988. The first house I ever listed and sold when I got my real estate license in 1987 was in Holly Orchard, so the neighborhood holds a special place in my heart. 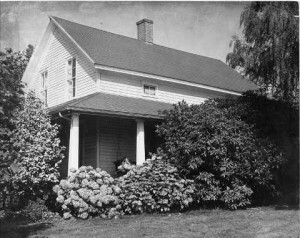 The oldest house in Lake Oswego is in Holly Orchard. The Waters Carmen house was built in 1855 and is still owned by his descendants. 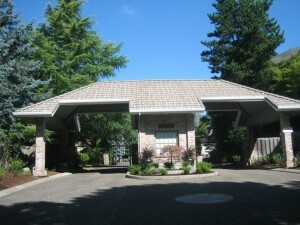 One of Lake Oswego’s few gated communities is in Holly Orchard, Taylors Crest. Not only does this development have gorgeous, luxury homes, but its a lively community with a swimming pool. 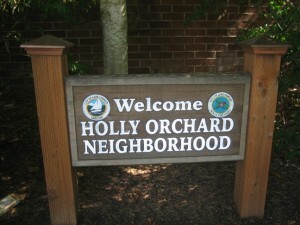 Holly Orchard hosted one of the Portland area’s first street of dreams in 1980. Being a small neighborhood, there are not many homes for sale at any given time. Currently on the market there is one condo, one townhouse, and 3 detached, single-family homes. The values range from the 3 bedroom, 3.5 bath condo that is listed for $235,000, to the luxury, 1980 Street of Dreams house that is listed for $749,900. Along with the 5 active listings, there are 4 houses in pending status with accepted offers that have not yet closed, and 24 homes that have sold in the last 12 months. 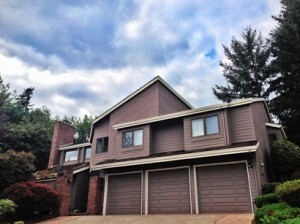 Sundew was home to the Steet of Dreams in 1980 and 4394 Sundew Ct is currently for sale. Listed with Rebecca Walter of Redfin (rebecca.walter@redfin.com, 503-255-2431), this house was a showcase for luxury and the latest in design ideas of its day. It has 4881 square feet that includes 4 bedrooms and 2.5 baths. The floorplan is centered around a central atrium that floods the house with natural light. Priced at $749,900, the house will be held open this Saturday, August 24th, from 1 to 4. For specifics about this property, click here. 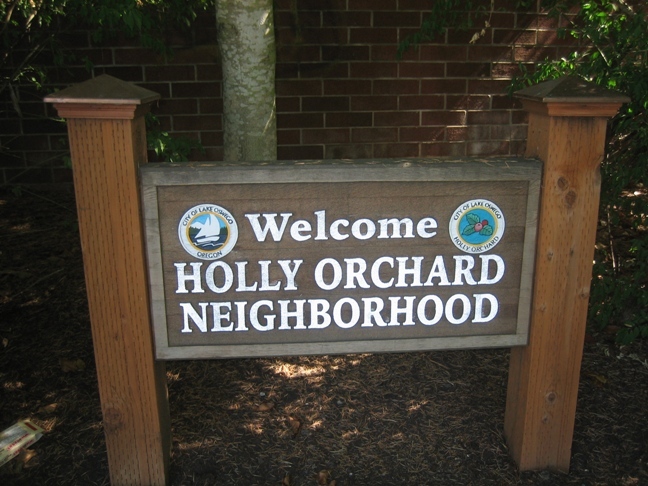 So why would someone want to consider living in Holly Orchard? Because it is in a superb location for convenience, yet it’s quiet. The house options include affordable condos and townhouses, but also include a luxury, gated community, as well as the exceptional designs of Street of Dreams living.